Welcome to World Wide Smiles! Welcome to our World Wide Smiles Website – we hope you enjoy your visit – please visit us again soon! 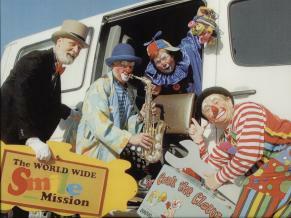 This site tells you about World Wide Smiles Ltd, and the trips we have made to different parts of the world to promote the well-being and welfare of children and adults suffering from poverty and the effects of natural and man-made disasters through the medium of the performing arts of comedy and clowning – taking SMILES to children and adults wherever they are desperately needed in the world. 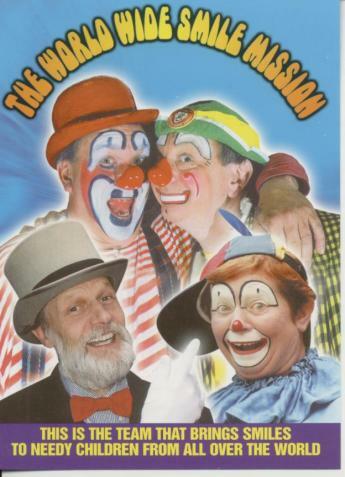 Photo: The very early clowns of the World Wide Smiles Team with the WWSM Founder Terry “Blanco” Browne (England) top left, David “Conk” Vaughan (England) top right, Ben Kemperman (Holland) bottom left and co-Founder and incumbent Hon. President Maria “Masjolie” Kemperman (Holland) bottom right. 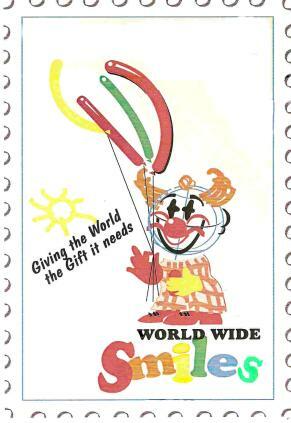 Originally named The World Wide Smiles Mission, this was later amended to World Wide Smiles to reflect that we are not a church organisation. The following pages tell you about World Wide Smiles Ltd, and the charitable trips we have made to different parts of the world. 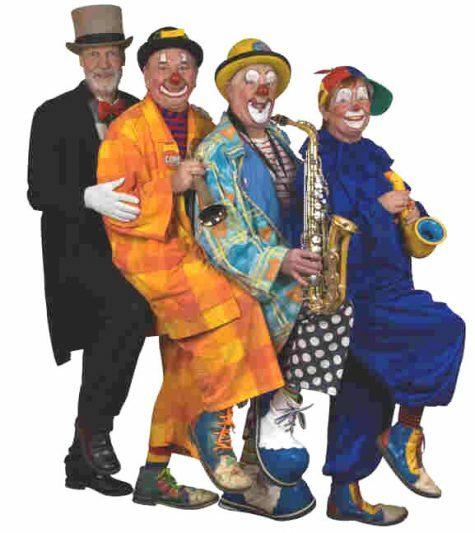 World Wide Smiles is a group of clowns who are dedicated to alleviate poverty by means of providing performances and clown shows at no cost to orphans, hospitals, special needs schools, and children and adults who just wouldn’t have the opportunity and certainly don’t have the means to have their spirits and morale raised in their environment. Many of the children and adults we entertain have no access to things we take for granted such as clean running water, sanitation and electricity. We take SMILES, LAUGHTER and GIGGLES to the WORLD! Would you like to show your support for World Wide Smiles? We now have a Group Page on Facebook: please sign-up and join our support Group! – there’s no cost involved. Click on our Facebook page. Being a very small charity, we are always extremely grateful for any donation to allow us to continue taking SMILES around the world to children and adults who desperately need a smile in their lives.